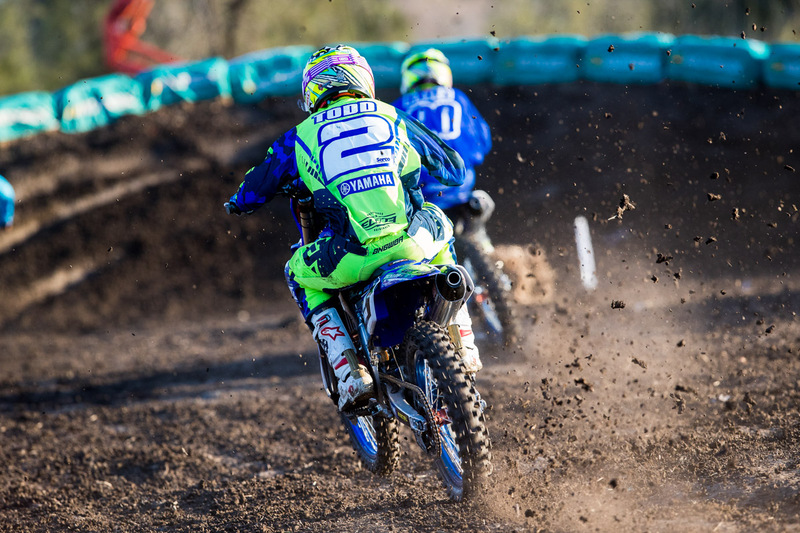 Racer comments from Queensland's first round of the season. A selection of riders detail round one of the 2018 Australian Supercross Championship at Jimboomba, Queensland. 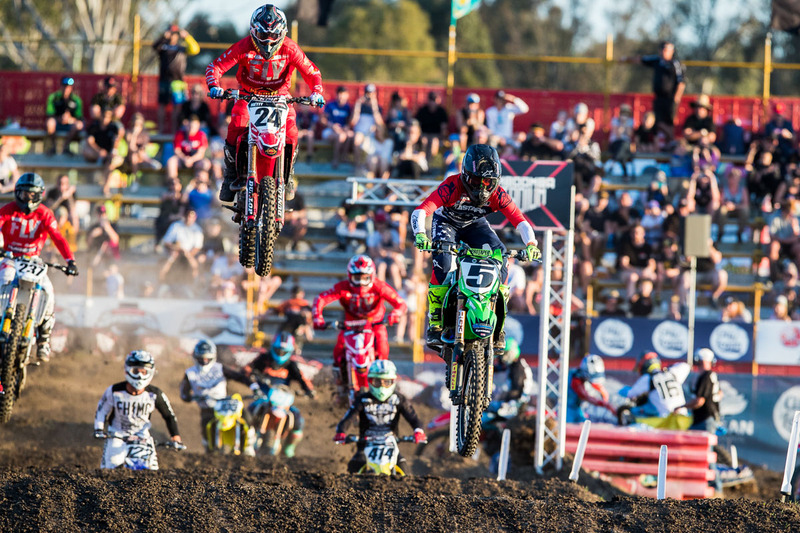 Team and privateer competitors can submit comments to [email protected] by Monday afternoon after events for inclusion in the post-event Quotebook feature. I felt really good all day. I was a little tight in practice, but I spoke with the team and they reassured me that my riding was good. From that talk, I felt I was riding well all day. We didn’t make any changes at all, so the testing we’ve done has been really incredible. I knew it was a short championship, so that motivated me to get back as high as I could in the main event after the mistake. I’m quite satisfied with fifth. I’ve only had a couple of weeks on the 2019 KX450 and it was my first race back in a while from injury, so there were a lot of nerves to get out of the way today. I pulled the hole-shot in my heat race and led all the way to the last lap – that was a good first race back for me. I got another hole-shot in the main and led for a few laps, but now we have three weeks to continue building and testing. Overall the day went well. We qualified first and won our heat race. I knew Metty would be strong after we tested together during the week and I am extremely happy we took first and second in the 450 main for Penrite Honda. I couldn’t rush it, the track dried out and there were areas that didn’t offer a lot of traction so I needed to be patient. Overall I am happy with my speed throughout all sessions and this is a great way to start the championship. I am so happy with the bike and the team. I made a small mistake in the final, I am not sure if I would have held Justin off but that seriously doesn’t matter, I am extremely happy with how I am riding and had so much fun racing supercross again. It’s been a few a years between supercross races. That was a good first round for us. The main goal coming into the round was to put in 20 solid laps and come away with good results, we definitely managed that today. For some reason, I never quite to ride my best at Jimboomba, so to come away with some good points and be able to keep pace was a big positive. It was the first race I have finished in 2018; there is certainly a lot of good things to take away from round one. We have a bit of break now until the next round; I am walking away from this weekend healthy and know what I need to work on, I am already looking forward to round two at Coolum. Coming into the first round I felt a bit nervous as to how I was going to ride on the 450, only have had a hand full of rides on it coming into the weekend. I went out and felt great, and ended up qualifying 11th which boosted my confidence, then went on to grab a fourth in my first heat race. As the day went on I began to feel more and more comfortable on the bike, and I didn’t really have any pressure on me which was great, heading out for the main I just wanted to get a solid start and put in 20 consistent laps, and that’s what I did to finish ninth. I’m stoked with the result, and now it gives me three weeks to improve and work on a few things before we head to Coolum. The day started off really well and I felt really good. I qualified in P2, so I was feeling really confident and my KX250F was handling really good. I was in heat one, grabbed the hole-shot and then got landed on in the first rhythm. It got me pretty good. I just made sure I finished so I could get through the night and I ended up making my way through into the top 10 in the main, but I made a mistake on the dragon’s back and it ended up being a big hit. Still, I’m taking the positives from my early speed. It was a challenging day – I felt good in the first practice and felt comfortable, but I had a pretty good crash in qualifying and kind of got banged up in that. I regrouped for the main and had a pretty good first couple of laps before settling in. I salvaged a sixth, which is something to build off of, and now I know what to expect for the next race. I can’t thank the team enough for working so hard. It’s been a crazy week, settling in, testing a new bike and finding some consistency in my day to day training. I have never left America so this is all new to me. Whilst I am happy with the points we scored, I believe we can improve on second for round two. Now we have three weeks to prepare for the next round and the team and I will work on some things to improve our position. It feels so good when you set down a plan, layout a goal and then go out and achieve it just the way you wanted. Today was just how I wanted it to go with my bike working perfectly, the track in great shape and riding the laps I needed to do to get my best result. First rounds are always hard to manage but the team did a great job of getting the bike just how I needed it and providing great support and atmosphere throughout the day. Thank you to everyone at Yamalube Yamaha Racing and our team sponsors as well as Scott Bannan Promotions for a great event. I’m pretty happy with that. I really didn’t know what to expect as what it looks like from the sidelines to what actually goes on the track are two completely different things. I tried to just keep calm, do all the jumps and whoops as good as I could as often as I could and finish safely. So, to be inside the top 10 and race with a lot of the more established supercross guys is good and gives me a bit more belief heading into round two. Things did get a bit crazy out there in the first few turns and riders and bikes are going everywhere but once the race settled down, I really enjoyed it and it was good to have the atmosphere of a big crowd around the track. My goals don’t really change so hopefully I can keep aiming for top 10 results and continue to learn as I go. I’ve been here just over a week and a half now and I’m just gelling with everyone really well, the guys at Raceline Pirelli KTM are so good to work with and I’m proud that we could get a podium for our first race together. For me, it’s been an easy transition. I ride a KTM back home and stepping on the bike here just feels good. We’ve done some testing together and we’ve pieced it all together so it’s been great. I have done day races before so that wasn’t that different but the dirt was completely different. Just the dirt it was brutal – it was hard pack but hard to even explain so adjusting to that was a bit of a challenge. Coming out here I didn’t really know what to expect – everyone talks but until you come and experience it for yourself you just don’t know what it’s like. For me, I have been having fun riding my dirt bike, this is usually my off-season actually. I raced Supercross in the States and then the Outdoors in Canada so I’ve pretty much been wide open for close to a year. I want to be on the podium every single time we go racing, but I think the key is to have fun and enjoy myself while I’m here too. That was a tough day, everything leading up to round one had gone well, but I got hit by a bug and could not keep anything down all day. There was still a lot to take away from the day, the Australian tracks are a little bit different to what we see in Europe, so it was good to get an idea of what the tracks are like over here. The event itself was very well run and was a great day all around. It was not the way we wanted to start the series, but no excuses, we will work hard and have a much better showing at round two. I’m happy with my starts, and I know I have the speed, but a few small mistakes and a few positions I put myself in had me down the running order in Jimboomba. I only got two laps in before I came off in qualifying and that was good enough to qualify eleventh, so I’m confident in the pace I have. In the final, I had a strong start but had a moment early in the race that set me back, and although I managed to move forward, passing a number of racers, I tightened up a lot and wasn’t able to really show what I can do. I’m really looking forward to Coolum now and putting together a solid race day. It’s good to get the first round out of the way and get back into the swing of racing. Things have gone well with the Serco Yamaha team since I have got here, and it was good to just experience how the events are run, the competition I race against and just get a good feel for how things are over here. I’m sure that I’m capable of much better results and they will come over the next few rounds. But the team and bike are great and now that I have that little bit of experience under my belt, things will get better from here. I’m disappointed with the final on Saturday. I passed one of the US guys just before the whoops, then suddenly we hit at the end of the whoops and I’m off the track and trying to get control of my bike. I was able to get going again but then I lost traction on one of the slick spots on the track and went down while I was in third. From there, I think I forget how to ride a dirt bike and struggled to the end of the race. But, I’m determined to get things back on track at round two. We have a couple of weeks off before the next round so I will keep working hard and learn from some of the things I could have done better in the weekend. Seventh isn’t a great start to the series but I will bounce back and there isn’t much room for error over the next four rounds.